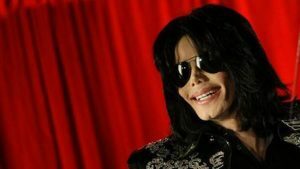 An unflinching new documentary on pedophilia accusations against Michael Jackson has shattered the glittering veneer around the late King of Pop, presenting in lurid detail the stories of two men who say he sexually abused them for years as minors. “Leaving Neverland,” a four-hour film by British director Dan Reed, is considered so potentially devastating that counseling was made available at its Sundance Film Festival premiere in January. US cable network HBO will air it in two parts, starting Sunday. The documentary centers on James Safechuck, 41, and Wade Robson, 36, who recount separate but consistent accounts of how their idol molested them as boys. Both describe the childlike Jackson wooing them: inviting them into his fairy tale existence, gaining their families’ trust and manipulating them into keeping their sexual relations secret. Their mothers also offer narratives of seduction into the cult of Jackson and the ensuing guilt that haunts them. Robson first met Jackson as a five-year-old after winning a dance competition. In 2003 more accusations triggered a dramatic trial: that time, Safechuck kept a distance but Robson testified for Jackson, who was acquitted. Reed said the timing of the film’s release with #MeToo was unplanned but fortuitous. The post Bombshell film reignites Michael Jackson abuse firestorm appeared first on SABC News – Breaking news, special reports, world, business, sport coverage of all South African current events. Africa's news leader..